The pepper Trinidad Scorpion Butch Taylor, also called Butch T or Tigerb8 belongs to the family of capsicum chinense. Its origin is uncertain, probably it believes that it is a cross between a Buth Jolokia and Trinidad Scorpion simple. The name was given by Neel Smith, owner of australian Hippy Seed Company . 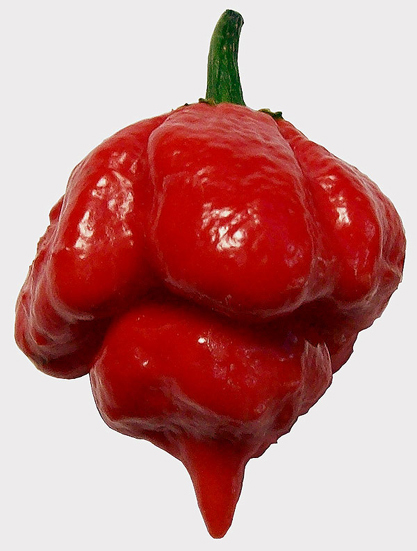 To the name Trinidad Scorpion, the variety that produces berries with a similar shape, he simply added the name of the person who had given him the first seeds: Butch Taylor However the plants are similar: the plants are bushy and thick almost three feet tall, its fruits initially green and then red muturazione. The fruits of Butch T are approximately 1.5 to 2 inches. The particular feature, from which comes the name, is the final tip of the berry that resembles the tail of a scorpion. The seeds are difficult to germinate, and the seedlings have slow growth and a need for warm and constant weather. The fruits have a tropical fruits spicy flavor; they have a really extreme level of hotness. 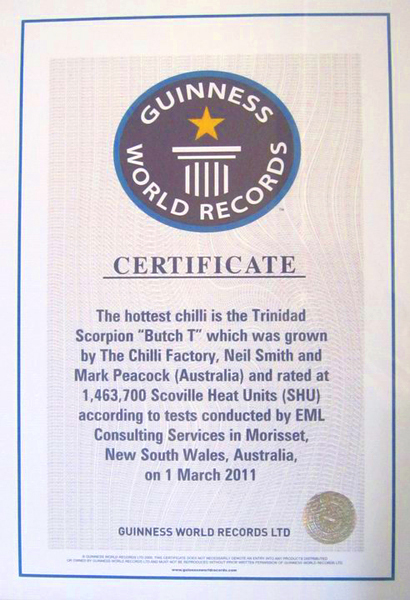 From March 1 2011, Trinidad Scorpio Butch T holds the Guinness World Record for the level of spicy, just conferred to Neel Smith, with a value of 1,463,700 Scoville degrees. Butch T are practically 40% hotter than Buth Jolokia or Ghost chilli. In December 2011 they are initiated the contacts between the Farm La Casetta and Neel Smith to have the first seeds of this urticant monster. Neel says that after having tasted it he has lost the sensitivity of the tongue for a day. In February 2012, there was the first sowing to have the first organic plants of the Trinidad Scorpion Butch T. at "La Casetta" . And, in the summer of 2012, the first BIO harvest. 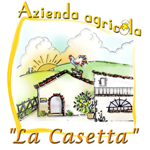 It is believed to say that the first certified organic cultivation of this kind of chilli in Italy occurred on the farm La Casetta at Massignano AP Italy.